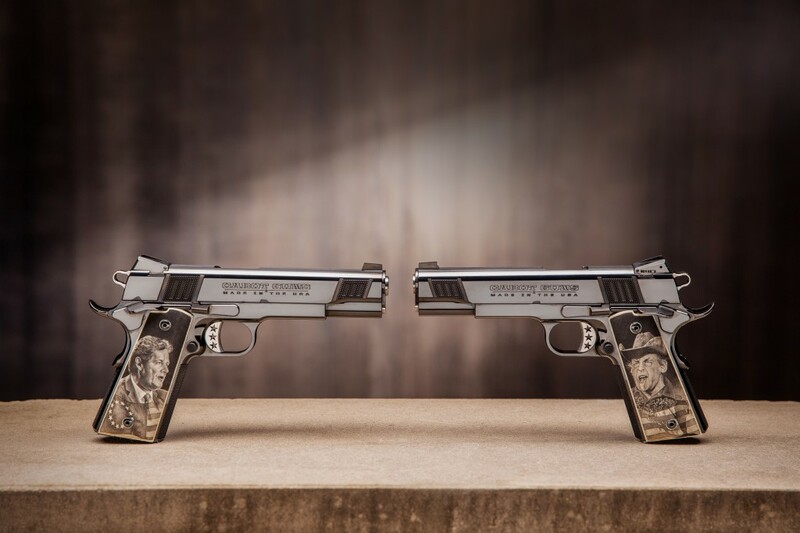 Crossing the rubicon between firearms and fine art Cabot created this one-of-a-kind pistol set simply called The Left and The Right. The pistol set illustrates elements of a great American debate on firearms of 2013 and was crafted for exhibition at SHOT 2014. The pair are true mirror images of one another with the exception of the images on the handles. The grips of the right-hand gun depict President George W. Bush on one panel and Ted Nugent on the other while the left-hand pistol grips feature President Barack Obama and Piers Morgan. While oriented towards one another, the right-hand pistol depicts Ted Nugent and the left-hand gun depicts Piers Morgan. 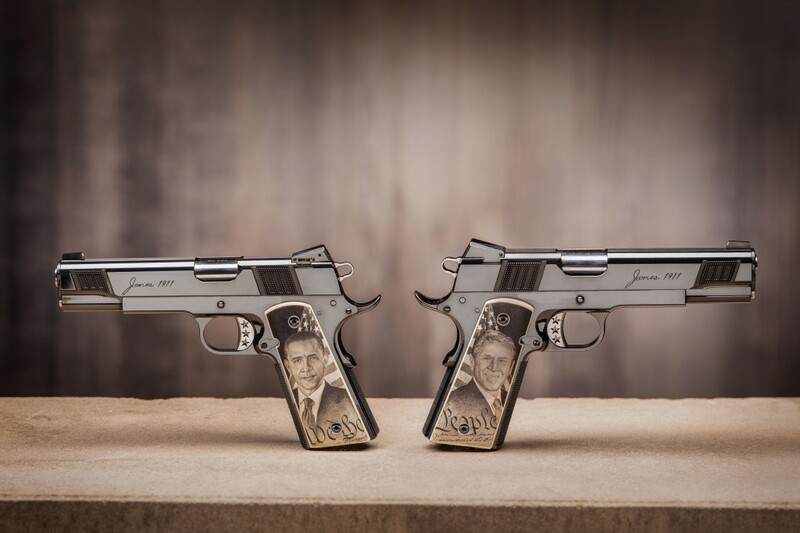 As the guns are positioned in opposite directions, the grips show President Barack Obama facing to the left while President George W. Bush faces right in representation of political ideology. “Ballistic art,” proclaimed Ted Nugent who viewed the set at SHOT 2014. The pistol set is not available for sale nor has it been sold. What will happen with it? We don’t know. But we think it’s an important work of art. Cabot has literally put the gun control debate of 2013 on the object of the debate in a way no other firearm company could do. The exquisite hand scrimshaw on each grip panel is akin to the finest Bulino engraving, truly a work of art.